Afterglow Aircraft Solutions, an Arkansas-based company offering aircraft interior and paint refurbishments and detailing, will locate operations at the Little Rock airport, the Little Rock Municipal Airport Commission announced Tuesday (Jan. 15). The commission is the governing body of the Bill and Hillary Clinton National Airport in Little Rock. Afterglow will lease space in an existing hangar, formerly occupied by Hawker Beechcraft, at the Airport Business Park, which is located to the west of the commercial terminal. Initially, Afterglow will lease 11,871 square feet, and plans to expand to 31,925 square feet with a workforce of approximately 60, a media release said. 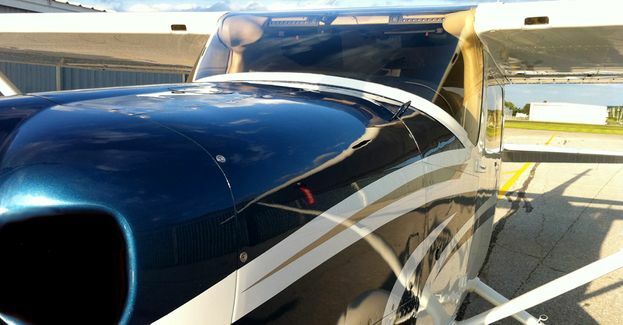 Rose is the third generation of the family-owned-and-operated business Rose Aircraft Services, Inc. Rose Aircraft has been in continual operation since 1964 and has 55 years of experience in aviation paint and interior refurbishment. Aviation is a targeted sector in the Little Rock Regional Chamber’ MetRock 2020 Economic Development Strategic Plan and will be a focus of the chamber’s marketing and recruitment efforts, said Jay Chesshir, chamber president and CEO. “By helping companies, like Afterglow, expand at the airport, additional highly skilled jobs are created, which are essential in maintaining Arkansas’ strong aerospace and aviation sector,” added Ronald F. Mathieu, airport executive director.